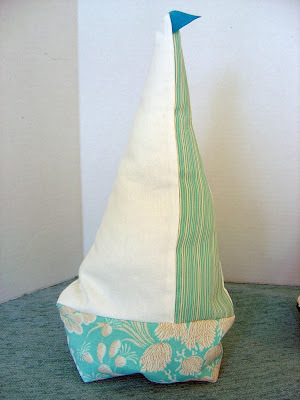 Making a pattern (any pattern really) can be a little challenging. My "newest" creation was just that. I got the idea a couple months’ back when surfin the web. I love everything coastal and when you type the word "coastal" in Google’s search engine you get just that, everything. 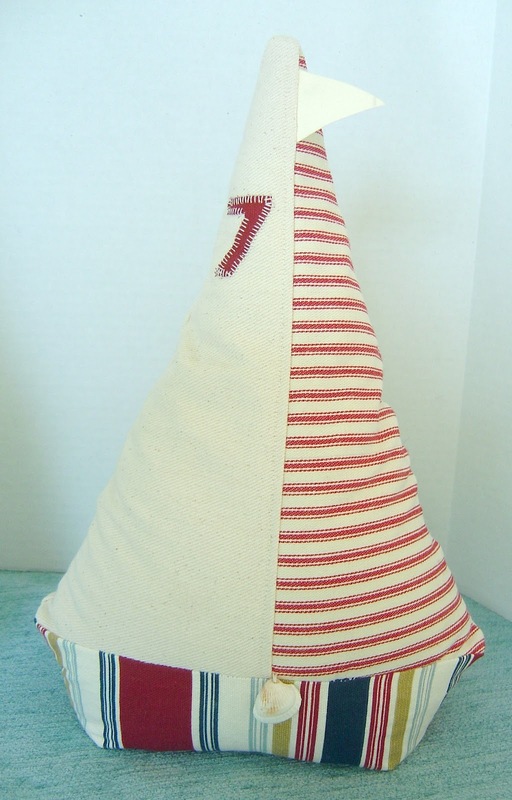 That is when I came across a cute little sailboat doorstop. 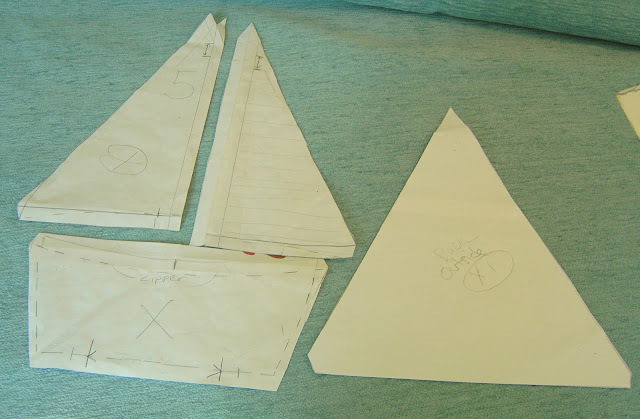 I knew I could make my own version but it would take some patience (which I was never born with and have never achieved) and my patternmaking skills. Easy-Peasey! After several prototypes shown below (don't laugh, it's a process) and some revelations while sleeping (oh yes! I get great trouble shooting ideas while I am sleeping) I came up with my Coastal Sailboat Doorstop!! 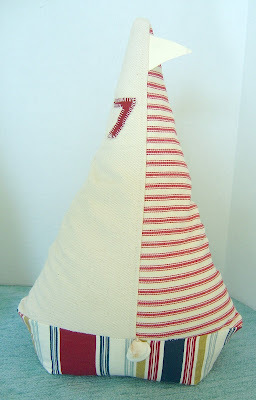 I ship the sailboat with a handful of batting for the sails tip (this helps it keep its shape) and nothing else. When you receive it you fill with uncooked rice (about 4-1/2 - 5 cups). 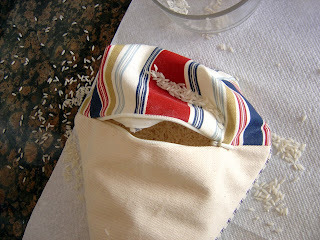 I even put in a hidden zipper closure! Fill - Zip -Done! How cute is that! Boy .... am I messy! 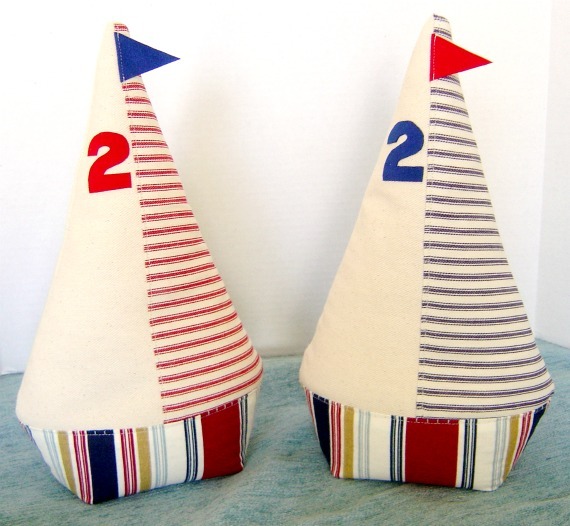 The completed Sailboat Doorstops measure 9" wide x 13" tall and retails in my ETSY Shop for $35. They come in Sailor's Red or Sailor's Blue. You can also choose your own number!